Whatsapp Social Messaging giant comes up with new feature which let allows you to backup your chat conversation to the Google Drive. It is available to the latest Whatsapp Version, which you can download via the official Whatsapp Website. With this new update you can backup the chats to your best Gmail account drive. Specify the Gmail Address to your Whatsapp Chat settings. Which connect the WhatsApp account to Google drive. Whatsapp already have the offline conversation backup feature. Online backup make it simple and speedier. Update is currently available for the Android users. It’ll be rolled out to the iOS and windows phone platform very soon. 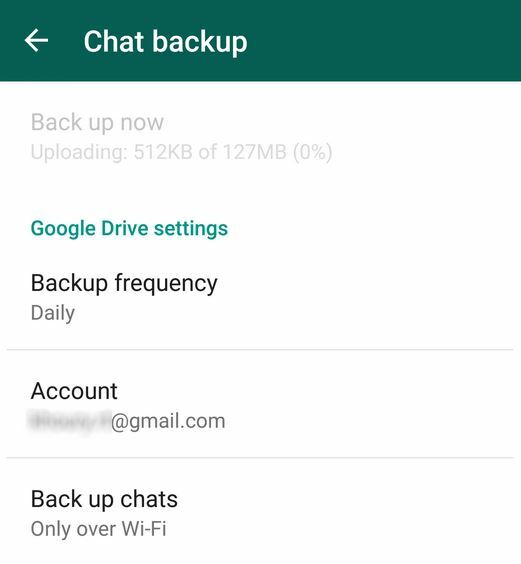 Backup Conversation to Google drive feature in available to the WhatsApp version 2.12.45. You can download via the official Whatsapp website. Whatsapp is the most popular mobile messaging service reached the 800 millions active users and gaining popularity day by day.